Version 1.2.6 of SkillWarz Map Editor has been released! If you'll find a bug or have some ideas/suggestions, please contact me, or write down below. + Added multiple selection. Now you can select more than 1 object by holding left control. 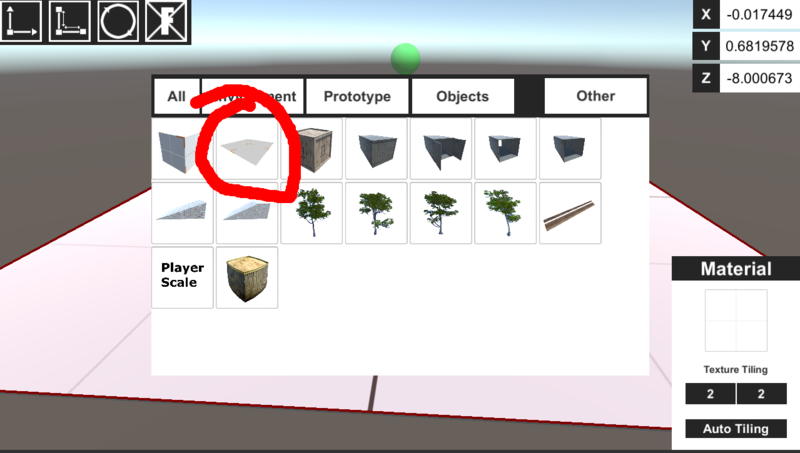 Then you are able to move/rotate/copy and delete selected objects. * Scrollbars has been moved to the right side. * There's a map limit name. At least 3 characters. At most 15. * Shortcut to copy object has been changed. Now it is ctrl+c instead of shift+c. * Scene lightning settings has been changed. * Fixed props scale in props window. * Order of red and blue spawn has been reversed. * Changed terrain editor's sliders min and max values. If you want to set the password, press settings icon in objects editor mode, and then type a password. (Same window as for SEGI and snapping). If you save a map with password, you will need to type a password before loading this particular map. If you want to remove password, simply leave the password field empty and save the map. If you type a wrong password, or leave the input field empty, you won't be able to edit anything. If map doesn't have a password, you don't need to type anything in password field in menu. 1)Don't set the password unless you share your map to the public. For now, terrain editing is not implemented (it is next thing that I'm going to add). What you can do is create a quad and set it's texture to grass. If you'll find a bug, please contact me, or write down below. When will be new version map editor? I think it will be relased soon. Im rewriting some things to better optimize an editor. I would use it, but I have Norton and it said it wasn't safe, so it deleted it.